Often we waste energy by engaging in the struggle between two opposing things. But if you can take these two opposing things and join them into a productive combination and interplay then you can use their energy instead of waste it. If you are centered, then your power is the center of the storm and there is stillness there. This manifests in your life as a powerful motion that you are engaged in. 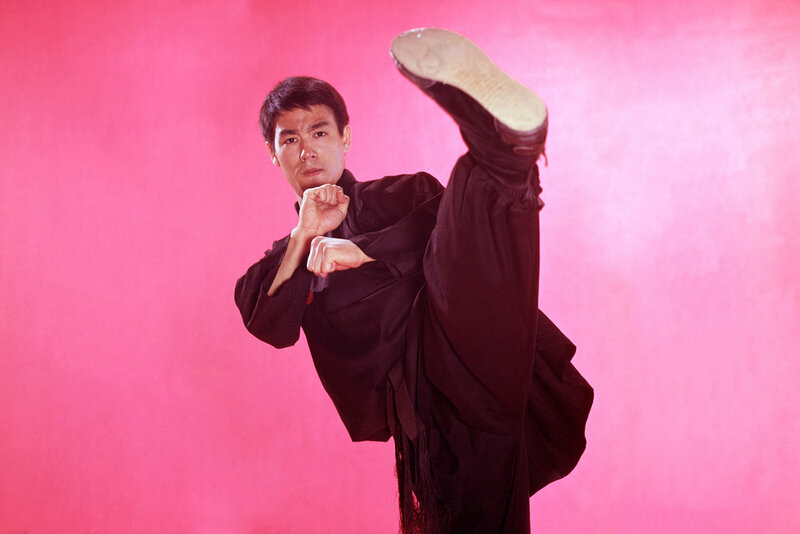 Bruce Lee is a great physical example of this powerful motion. On screen you can see that right before he moves to attack he has stillness, like a cat about to pounce. He wastes no energy before moving to attack; he gathers his energy into his stillness before a whirlwind attack. As in the concept of Yin Yang, things are not truly opposite; they are compliments to each other. They are extremes as part of one whole, such as how hot and cold are not opposites, but extremes of temperature. As a part of reconciling these opposites it is important to know that they are not separate, but are on the same scale. You have to be aware and neutral in your assessments in order to recognize that one extreme is the expression of the other extreme. When it comes to our minds and our hearts, we cannot separate them out into different parts; they are all apart of the same whole. The moment we bump into something about ourselves that we do not like and we push it away, we are not integrating or accepting what we do not like about ourselves. This can lead to self-hatred because we are labeling part of ourselves as the “other” or as “wrong.” Since we still have to live with ourselves we start to beat ourselves up over this part of us that is “wrong” and this becomes an energy depleting exercise of self-hate. You have to neutrally examine that part of yourself you do not like, feel how it feels in your body, and assess how it is showing what you need in your life. This will help your form an understanding of yourself and will help in your centering. The reason centering is hard is because we are in the habit of picking one side or the other to identify with. By examining yourself neutrally without judgment, you can really see and process difficult parts of yourself, integrate those parts, and then center yourself. If you are stuck more on one side or the other, and it cures into more extreme versions, it makes us feel more and more separate. Centering yourself is not just about calming you down from one extreme towards the center; it is also about finding this power source. If you confront a situation from your center then you have both sides to put your energy towards, instead of just limiting your energy to one side. Be willing to give yourself a break when you overshoot to one extreme or another. Life has waves and we are only human. Take each overshoot as a learning experience and eventually your pendulum will swing less wide and you will remain closer to your center. Centering is a difficult process. It is challenging in real life to integrate this learning in the moment. Self-honesty is hard because we do not want to get real with ourselves and look at the ugly parts. We want to place the blame outside of ourselves, but we have to own our own involvement. To find the “cause of our ignorance” we have to look deeply into what we do not know or what causes us confusion. Everything is an experiment and a process to know your self. You have to practice and accept that it will be hard. A good place to start your process of centering is by examining your strengths and your weaknesses. What sides do you lean towards? What biases do you have? When you get to the center, it is a powerful place of mobility and infinite possibility. What is available in the center is choice. When you’re sitting in the center, you have the ability to choose any direction you want.